Employees are eager to accept separation incentives at the Environmental Protection Agency, according to one of the labor leaders at the agency, who said many in the workforce have become disillusioned with their employer due to a steady reduction in resources. A House appropriations bill would slash EPA funding by $528 million in fiscal 2018, a 6.5 percent reduction. The proposal pales in comparison to the $2.5 billion, 31 percent cut Trump put forward in his budget blueprint. Still, labor and environmental groups said Monday the tamer reductions would cripple the agency, given the larger context in which they would be implemented. Lawmakers have consistently slashed EPA’s budget since 2010, and if the House cuts go into effect the agency will have seen its funding reduced by 27 percent over the eight-year period. That could mean a warm reception for the buyout and early retirement offers sent to certain EPA employees last week. EPA has set aside $12 million and will accept up to 1,227 buyouts and early retirements in fiscal 2017. Slightly more than half of the accepted separation incentives will go to headquarters employees, according to an internal memorandum obtained by E&E News, with the rest going to regional workers. EPA will provide its Region 3 in Philadelphia and Region 6 in Dallas with the most slots for the incentive programs. The Office of Research and Development will receive the most slots at headquarters, nearly doubling the 98 openings at the runner-up, the Office of Administration and Resource Management. The House has set aside funding in its 2018 spending bill to enable EPA to move forward with more separation incentives in fiscal 2018. In its budget for the next fiscal year, the Trump administration proposed slashing 3,200 employees. Agencies can offer up to $25,000 to employees who have worked in the federal government at least three years through a Voluntary Separation Incentive Payment and allow employees not otherwise eligible for retirement benefits to receive them through Voluntary Early Retirement Authority. The Office of Personnel Management must approve all early out and buyout programs, which it and the Office of Management and Budget have already done for EPA. 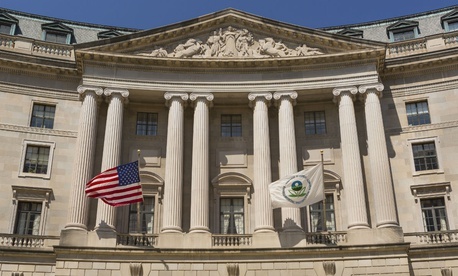 While Mikulka said the poor morale at EPA would lead to a high acceptance rate of separation incentives at EPA, he warned the agency would likely turn to reductions in force if it determines it needs to clear its rolls more quickly. “If you get a budget that doesn’t support the number of staff on board, the fact of the matter is you have to lay some of those people off or you can’t make payroll,” he said. He added the entire process will likely drain EPA of its most experienced workers. EPA would use a formula of service computation dates minus leave to determine priority for any reductions in force deemed necessary.